Author Charles Kingsley lived here and based his novel Westward Ho! in this area of North Devon. The town of Westward Ho! takes its name from the novel – the only town in Britain known to have been named after a book rather than the other way round and also the only town in Britain with an exclaimation mark in it! 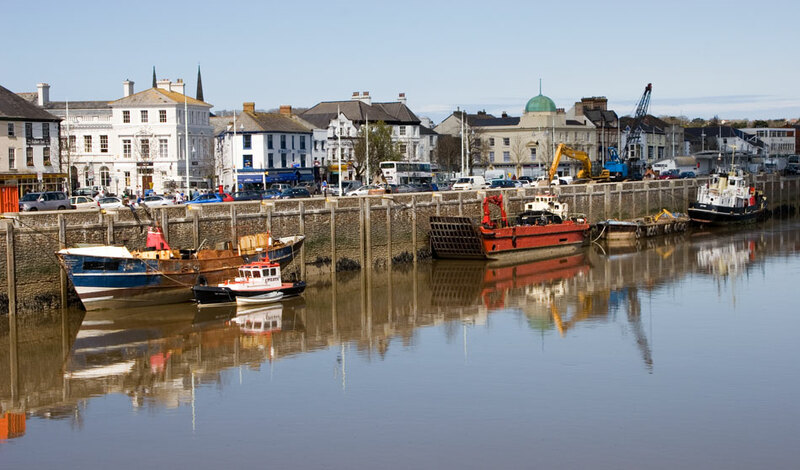 Kingsley described Bideford as a town of white houses. Many of these are now pastel coloured but the town still has some pleasant narrow streets and attractive small shops. 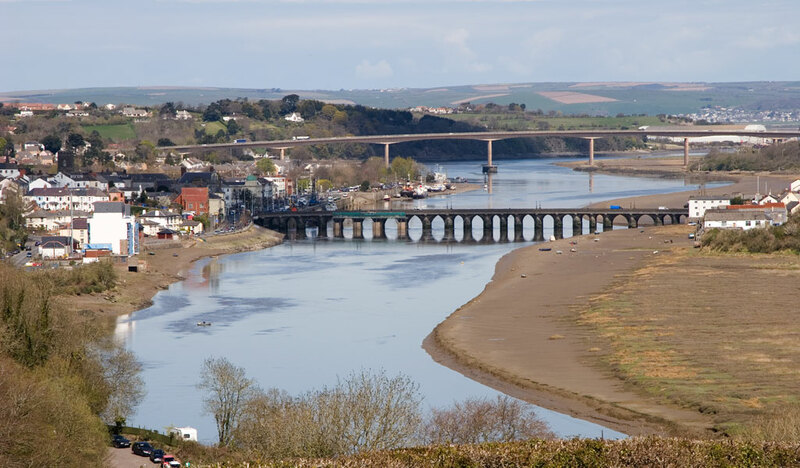 In the 16th Century, Bideford was Britain’s third largest port. The name of the town is derived from by-the-ford, presumably from the days before the bridge was constructed. 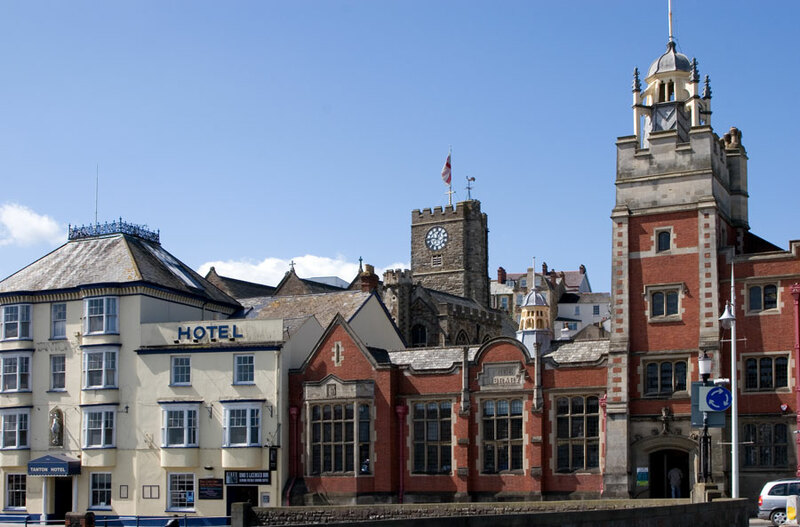 Today, Bideford is a thriving shopping centre with an historic Pannier Market holding both produce and crafts markets twice each week. Many antique shops are scattered amongst the narrow backstreets and alleyways that lead up from the quay and the river. These alleys are known locally as drangs. The tree-lines quay still bustles with fishing vessels, cargo and pleasure boats, and there are regular boat trip to Lundy Island in the Bristol Channel, about 12 miles away. The parish church of St Mary stands on the site of the original Saxon church, which was replaced by a Norman building. Most of the present church was rebuilt in 1865, but the tower and the font have survived from the original Norman building. 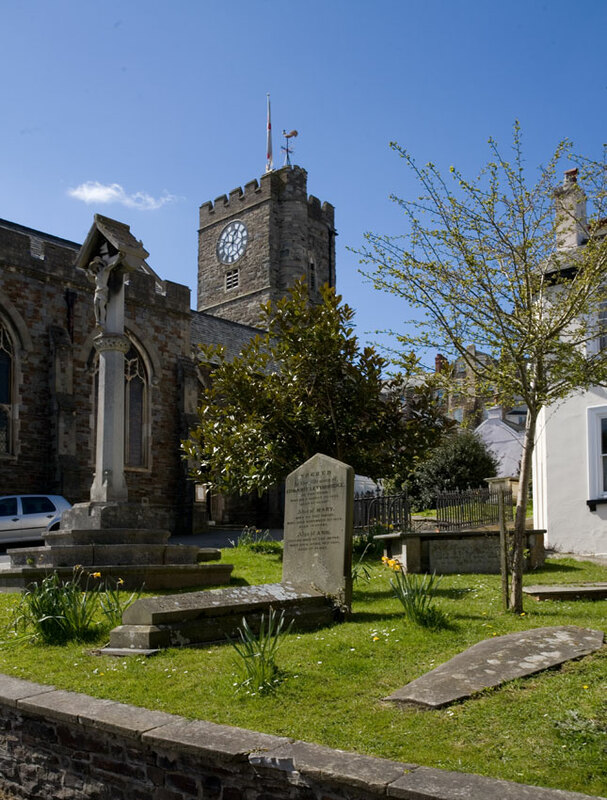 The area around Bideford has some fascinating places to visit such as the charming villages of Appledore, Instow and Clovelly. The town is also close to the start of the Tarka Trail and not far fro the lovely Exmoor National Park.